Josh was very knowledgeable and fixed the problem quickly. Competent, punctual, polite. Great technician. Dennis did a very good job. We asked Dennis to recheck things because the refrigerator was making a new "sound" that we hadn't heard before. Dennis verified a sound insulator had been installed by Ryan, and he made an "adjustment". The "sound" went away!!! Yay!!! Ryan is a very good craftsman. He went right to work, no wasted motions or chatting, very business like. Very timely with responses and very efficient and knowledgeable with work! Seems to be a good place to get your appliances fixed. The service man we had was prompt, knew his appliance, pleasant, and cleaned up his "mess." Like the idea of a call when he leaves his prior stop. They come out and fix what’s broken fast. Very pleased with this warranty service call. The communication was very good and clear regarding the appointment time and the technician was punctual and courteous. Ryan did a great job servicing my dishwasher. He was knowledgeable & efficient. Ryan did a nice job, was respectful, and helpful while trying to figure out the problem! REFRIGERATOR KITCHEN AID KSSS42QJX00 "Unit leaking refrigerant, likely from drain pan heater due to presence of oil in the drain pan and on heater. Would need to replace drain pan heater and install a new filter dryer. Office to call warranty company to get approval for repair, once approved parts will be ordered and shipped to customer, office will call to reschedule. ; rqstng P&A on 1 WP2004545 (heater-pan) and 1 WPW10143759 (dryer)"
REFRIGERATOR KITCHEN AID KBFS22EWMS7 "Installed new comp, right ff door gasket unit held vac and charged with 5 oz 134a unit cooling when left give 24 hrs for temps ; used 1 Ship (Shipping/Handling) from stock"
DRYER WHIRLPOOL WED5000DW2 Pulled off new seal and glued new seal into place. Asked to leave closed for a few hours to hold gasket in place while the glue is drying. All looks good on new seal. WASHER MAYTAG MVWB835DW4 "Tested all valves and filled unit in manual test mode. No leaks from machine but the floor drain in the room with the washer is backing up when the unit drained. Customer getting drain cleared, left unit half full of water to test floor drain after cleared." REFRIGERATOR KITCHEN-AID KSRG25FKSS15 "Bad comp need new comp quoted 285.90 labor 50.00 r134, 12.00 shipping 97.95 diag parts tax = 853.49 paying for all but labor and r134 today 517.59 today ; ordrng 1 SHIP (SHIP) and 1 W10309994 (compressor)"
REFRIGERATOR JENN-AIR JFC2087HRS "Bad comp quoted 285.90 labor, 50.00 r134, 12.00 ship, 97.95 diag, parts tax = 973.24 customer paying in full; ordrng 1 SHIP (SHIP) and 1 W10160407 (compressor) and 1 W10830206 (gasket-fip)"
DOUBLE OVEN KITCHEN AID KEBS209BSP00 "Unit losing voltage from control board on t1 and t2 for bake and broil relay on board after running for 10 seconds after power cycling oven. Double break relay operational but advised since in area would suggest replacing as well with control customer wants door taken apart on return to clean glass quoted 175.90 labor, 97.95 diag, 12.00 ship, parts tax = 659.43 allow extra time on return paying 483.53 today 175.90 due on return ; ordrng 1 SHIP (SHIP) and 2 WP9752759 (relay)s and 1 WPW10317345 (cntrl-elec)"
REFRIGERATOR KITCHEN AID KSRP22FNBT00 "Found faulty icemaker need to order WPW10190961 at vadnais customer scheduled for Friday part 149.95 ship 12.00 labor 45.90 customer paid in full ; ordrng 1 WPW10190961 (icemaker), used 1 Ship (Shipping/Handling) from stock"
WASHER MAYTAG MVWB765FW3 Installed new gearcase in the unit and ran through diagnostics and auto test. All checks ok and is working correctly with no abnormal noises or issues. 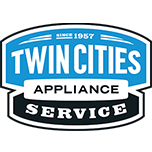 REFRIGERATOR KITCHENAID KTRC19ELSS00 "Installed new start device one unit and compressor came on, EVAP began to freeze, and EVAP fan was circling cold air. All checks out good." WASHER MAYTAG MVWB765FW3 "Unit has loud noise in agitate cycle, locked rotor error codes stored, signs of oil leaking from gear case, ordering gear case to replace. Shows back order until 3/22, office to call customer once part is ordered to reschedule. ; ordrng 1 W11134159 (GEARCASE)"